Fruitless Pursuits: Avengers Assemble! 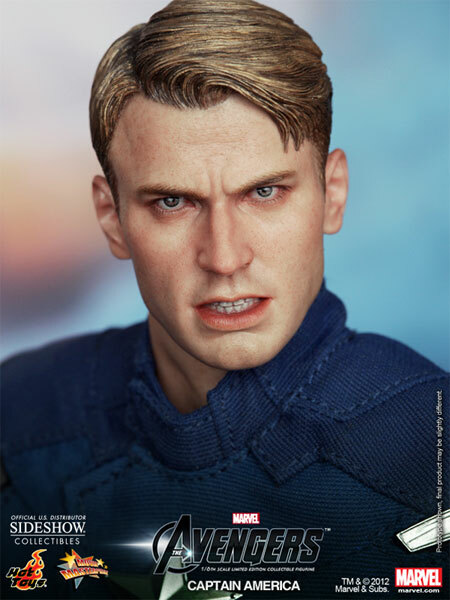 Hot Toys Captain America Pre-Order. Avengers Assemble! 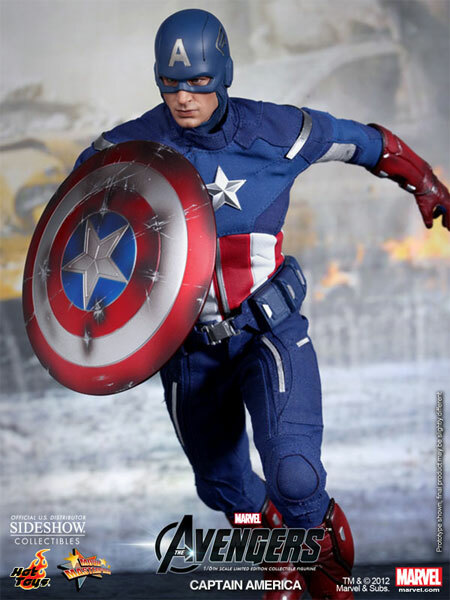 Hot Toys Captain America Pre-Order. Although I ragged on his on-screen costume in my Avengers review, this upcoming 6th scale Captain America from Hot Toys looks pretty incredible. All jazz ballet jibes aside I have to concede that this is an amazingly crafted figure, and anyone managing to actually collect all of the team members is going to have a very impressive (and expensive) display on their hands. I have the Hot Toys Batman Begins Bruce Wayne/Batman and can attest to the quality, detail and uncanny shrunken likenesses. 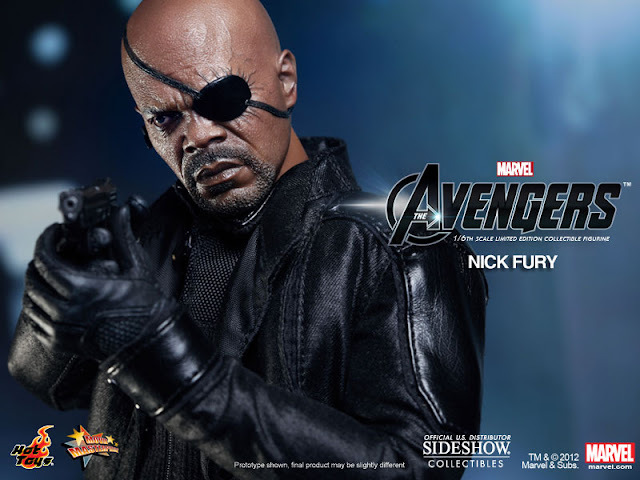 Admittedly I won't be rushing out to get Cap, but I think I'll be very tempted to grab Black Widow when her pre-order is up for grabs shortly. 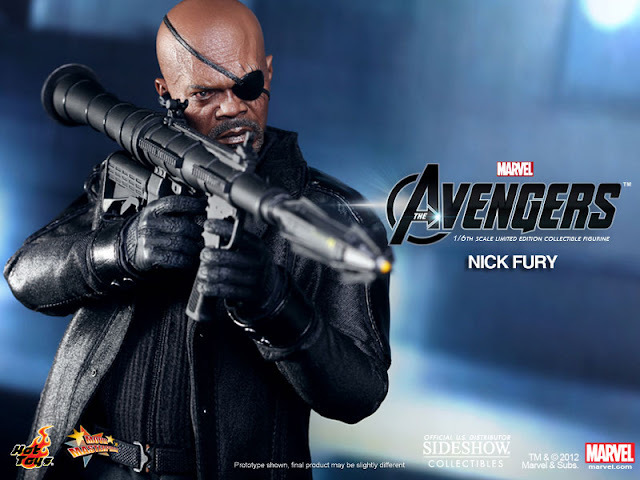 Join me after the jump if you need a reminder of what the equally amazing Hawkeye and Nick Fury pieces will look like. We never did find out how he lost that eye. Hopefully not in a truck stop bathroom. 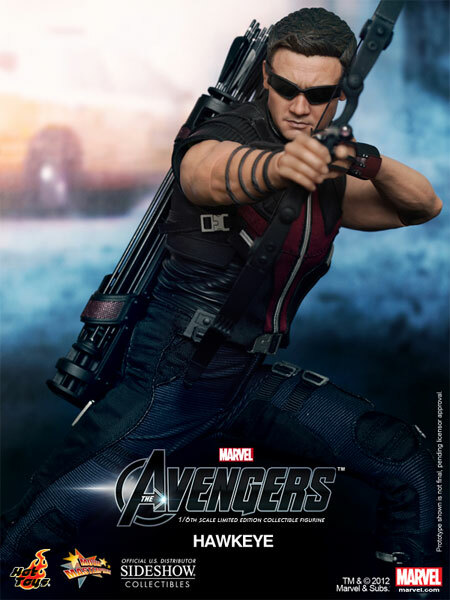 This one is so life-like that I'm convinced that Jeremy Renner agreed to be shrunk and cloned to dutifully stand guard by your bed. I kind of want these and I didn't even 100% love the film. I'm going to be selective, but if anyone out there is grabbing the set let me know. I think Thor is next. We'll alert you if you're interested! 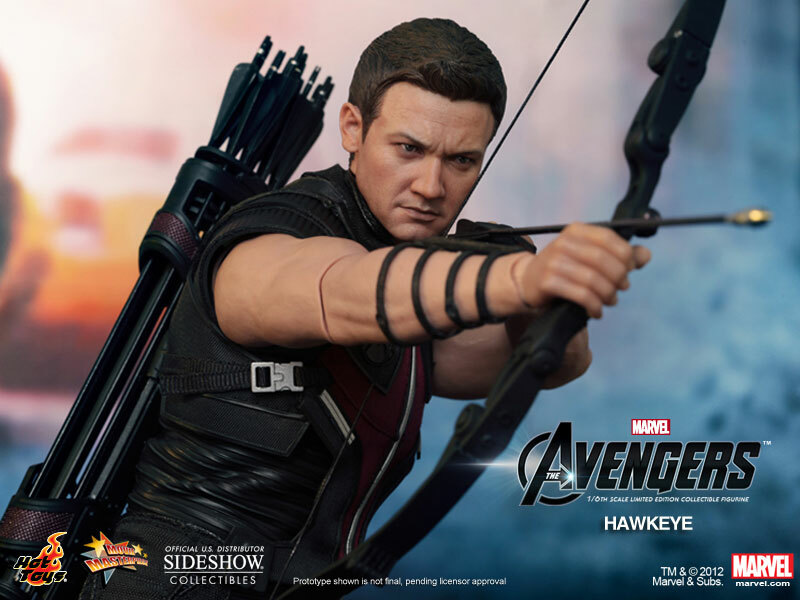 The Hawkeye would be ready to ship well in advance of my birthday. Just sayin'. If they release a Loki I am all over that.